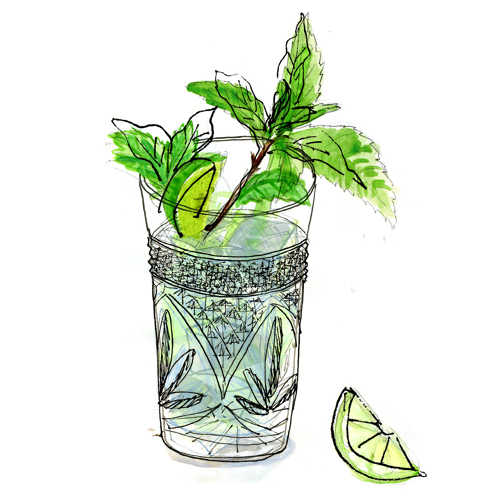 Muddle together mint leaves and lime juice in a highball glass. Add simple syrup and fill glass with ice. Top with vodka and club soda. 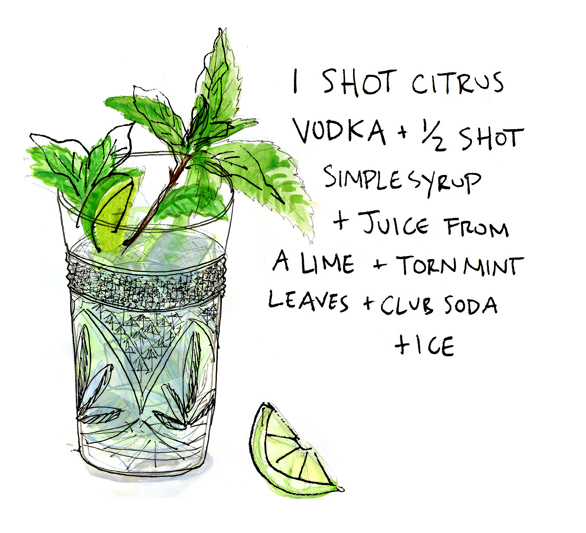 Garnish with lime slices and mint leaves.